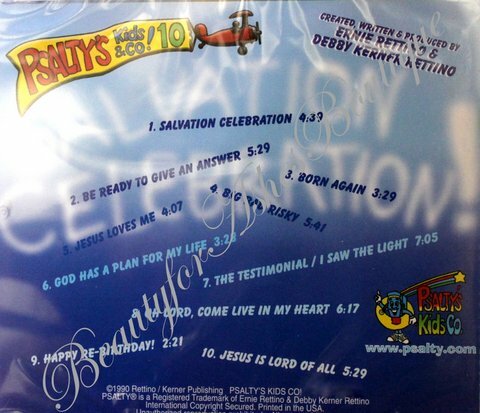 Home > Psalty Kids Store > KIDS PRAISE 10 CD - Salvation Celebration! Psalty's Kid's and Co! 10 - Salvation Celebration! Psalty is bringing kids the plan of salvation. 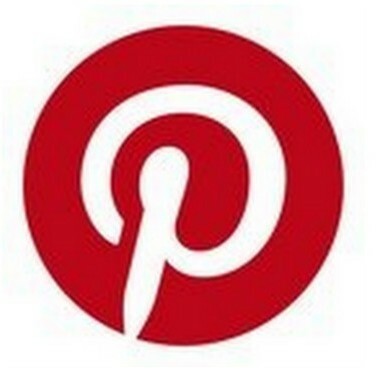 It is fun, powerful, and it is easy to understand! 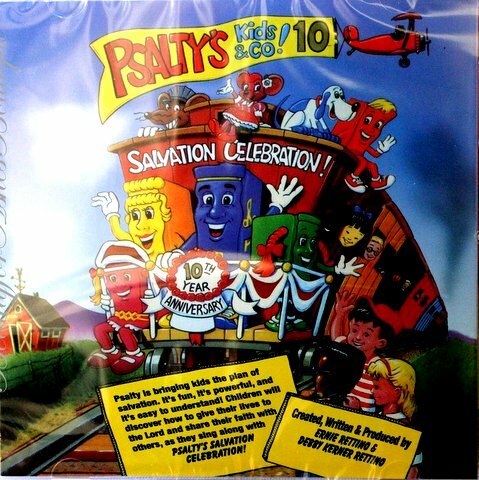 Children will discover how to give their lives to the Lord and share their faith with others as they sing along with Psalty's Salvation Celebration! Song list: Be Ready to Give an Answer, Salvation Celebration, Born Again, Big Bad Risky, Jesus Loves Me, God Has a Plan For My Life, The Testimonial/I Saw the Light, Oh, Lord, Come Live in My Heart, Happy Re-Birthday, Jesus Is Lord of All.